I now have a wonderful kit that will tell me what’s in the water that flows past our house. Finally, we have some way to tell what’s going on underwater, other than just admiring clear water rippling over rocks. Or staring at turbid brown floodwater, with the occasional tree or wombat carcass floating by, while hoping that we’ll soon be able to get across. 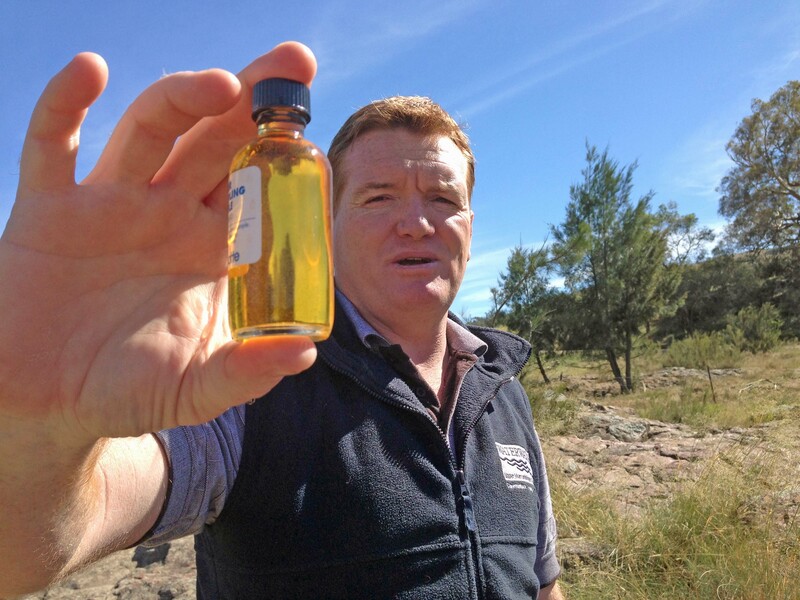 Upper Murrumbidgee Waterwatch came to my assistance, specifically Woo O’Reilly and Damon Cusack who introduced me to the world of water testing, water bug assessing and riparian condition reporting. 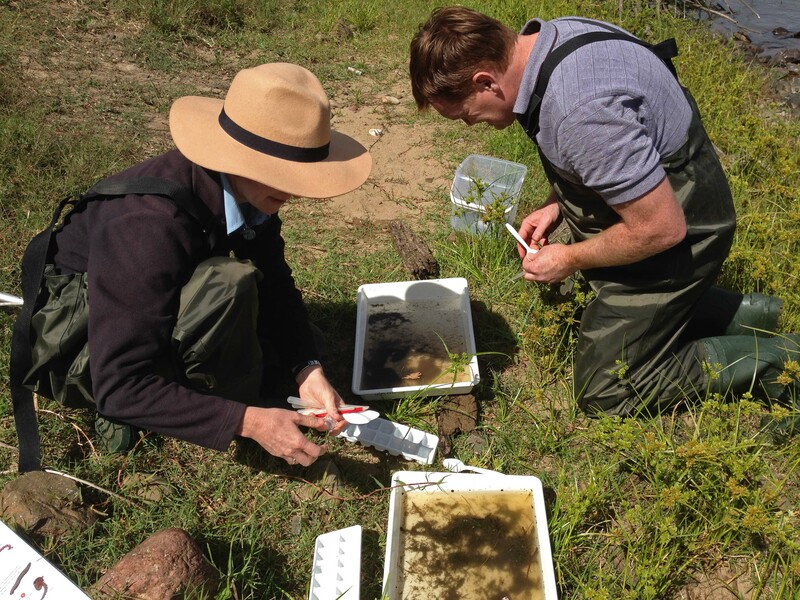 First they gave our reach a number: CMM111, under the Yass Catchment. Our new address. We measured the water temperature, which affects how much oxygen can be dissolved in it. Water that’s too warm has little oxygen and is hard to breathe and live in for the fish and other critters. We made things turn pretty colours for phospate levels (which could come from fertilizer runoff, or from some other sort of poolution) and no colour at all for dissolved oxygen testing. We also measured nitrate levels with colours (which would show high if too much sewage, for example, is coming in). I was surprised that the Ph levels showed more at the alkaline than the acid end of the range, given that the soils around here are quite acid. Apparently further upstream they’re very alkaline, however and we see the effects here. Electrical conductivity was measured using a gadget that had to be dipped in and out before coming to a final agreement on the result. Because pure water doesn’t conduct much electricity, the test shows that certain sorts of contaminants may be in the water, including salt, phosphates, chlorides, clay, and so on. My favorite is the turbidity tube. It’s a spotting game, where you peer through the water down the tube to see the lines at the bottom. If you can’t see them, you tip a little out until you can. The deeper the water you can see through, the clearer it is. It’s more accurate than the “Can you see your feet?” test which we have used up until now. 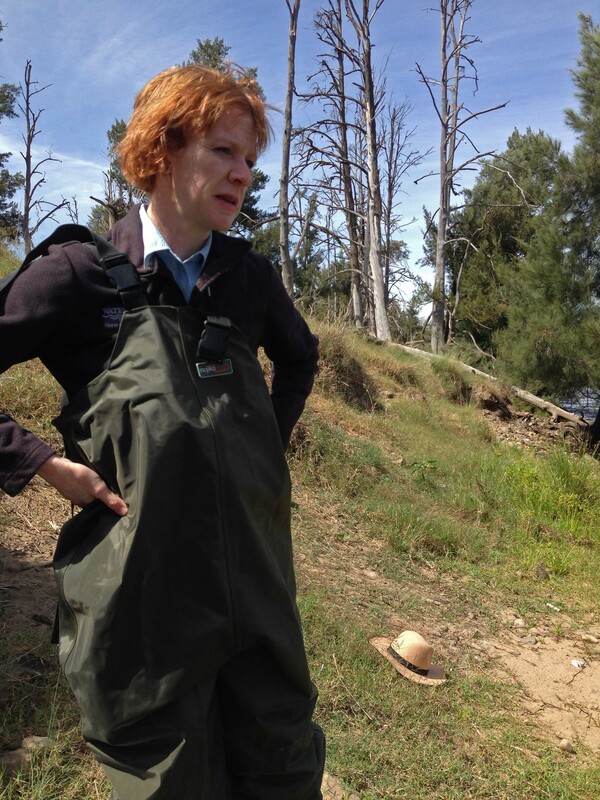 Then we got into the waders and went splashing about in a riffle looking for waterbugs. The waterbug test is only done twice a year in spring and autumn, so we’ve got autumn covered. I’m going to have to improve my skill at staying upright while kicking at the rocks to dislodge little critters into the net before next spring. Most of our first lot seemed to be various sorts of mayflies, plus some water boatmen. Caddis flies hide inside tiny cases, a few were swimming without cases in a distinctive waggly motion. There were lots of the clear shrimps that live among the rocks and like to pick at your skin if you’re having a waterfall massage for too long. I was surprised that there were little clams – less than a millimetre across, as well as worms, mosquito larvae and bloodworms (creepy tiny threads of red). As various creatures were grouped together and given different weightings for their rarity and tolerance (or lack of it) of dirty water, we came out with a total result of 7 types. That’s a little better than I thought it might be, right on the edge of being “good habitat and water quality”, but actually still in the “suggests toxic pollution or poor habitat” category. 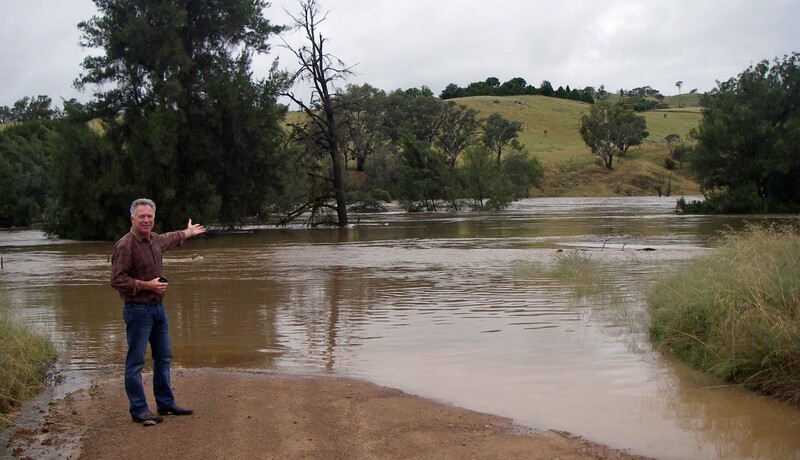 We are, of course, in the UPPER Murrumbidgee. 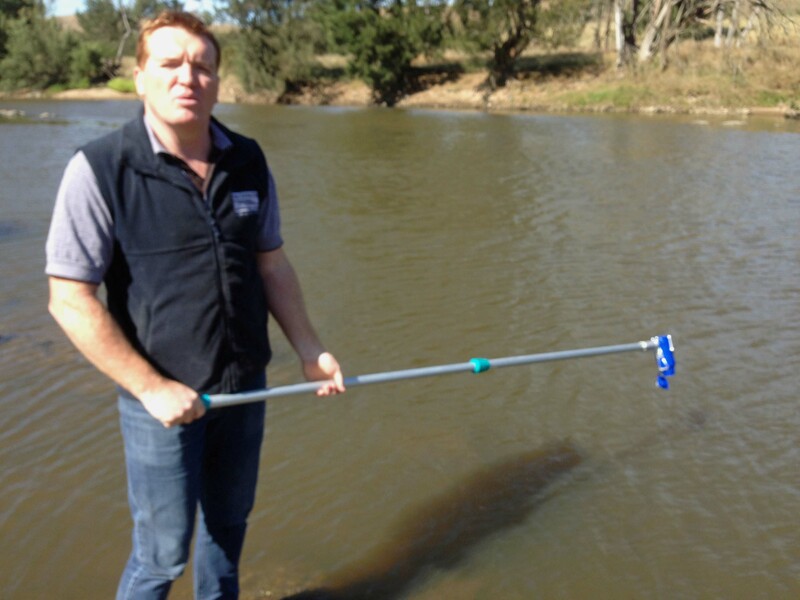 The water has a long way to flow, getting dirtier, before it reaches the Murray River and then South Australia. It’s a bit shameful that the quality should be “poor” at this point. On the other hand, we’re just below Canberra which is actually the largest city on Australia’s inland waterways. 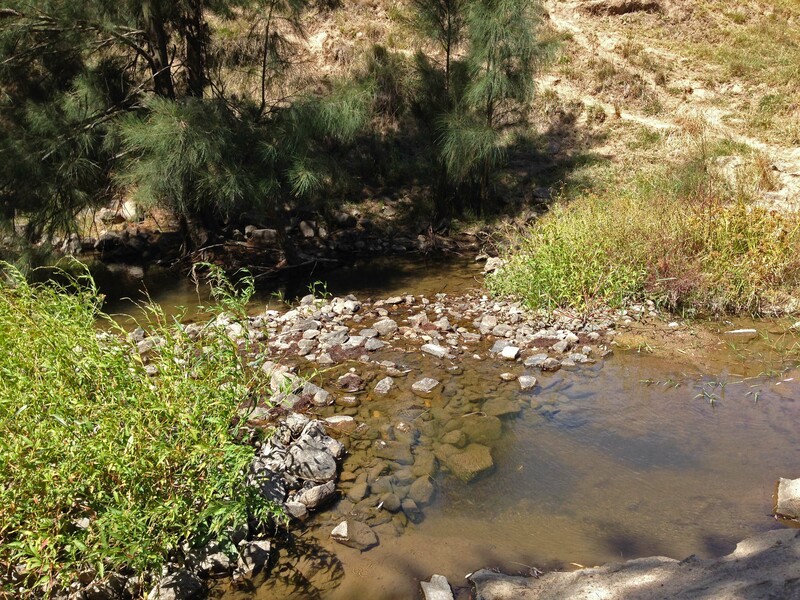 We (and by that I mean Woo and Damon with me watching) also did water testing on the Mullion creek at a convenient spot by Lizard Crossing and a Rapid Assessment of Riparian Condition for the river above the main crossing. The riparian results showed, as I knew, that we have very little shrubby understorey along the river, and the grasses are primarily exotic. We can work on the weeds and that might help. One criteria includes having a 10 hectare area of native vegetation within one kilometre – which there will be once the Box Gum woodland gets up a bit higher. So we could gain a whole point by the next assessment in two years time. The water results were not too bad, mainly because there has been so little rain lately. Heavy rain stirs up the mud. The creek was a little warmer and more acid, but clearer and with less phosphorus and nitrates. 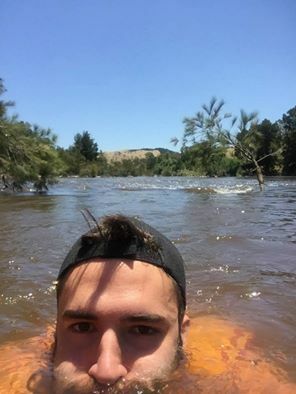 I still wouldn’t recommend drinking the river water, no matter how hot the weather is.